One of the advantages of living next to two Great Lakes and a natural wonder of the world are the numerous ways to get on the water. So with no time to waste, let’s talk about all the great boat rides available in Western New York. With a love of the Niagara River & Erie Canal and all things on the water, Captain’s Robin & Tom and their professional crew look forward to taking you out aboard the “Queen of Peace” and show you what the Northtowns of WNY have to offer. Hosting a number of Holiday and Special Event “themed” cruises over the summer, Niagara River Cruises specializes in making memories that will last long after your boat ride ends. Charter your own event, or simply make a reservation for one of their shuttles. Group discounts, Senior discounts & AAA discounts are available..
Niagara River Cruises season is open and ready to take your reservations. They operate end of May through end of September sometimes into October [weather permitting], shuttle dates on Saturdays & Sundays only [Booking Private charters for any day/night of the week]. Food and drink are allowed on the boat. Special event prices range from $25-$35 for adults and $20 for children. Normal charter prices run $15-$20 for adults and $10-$13 for children. Visit them at www.niagararivercruises.org and make sure you like them on Facebook so you are up to date on the special events over the summer. 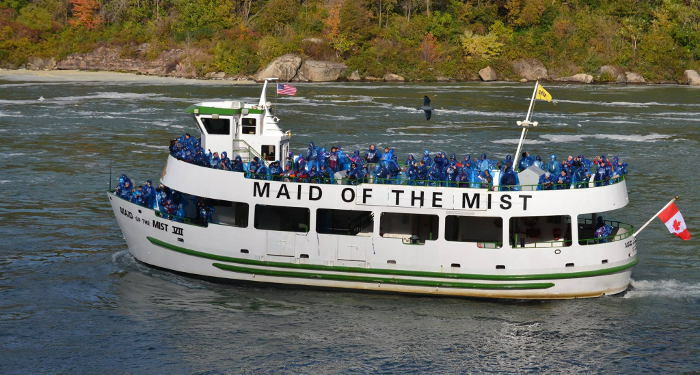 Any list highlighting incredible boat rides around WNY must begin with the Maid of the Mist. Since its modest beginning in 1846 as a transportation vessel, the Maid has been bringing people across the Niagara River, and as close to Niagara Falls as anyone can get. From world leaders to movie stars, everyone seems to have taken a ride alongside nature’s rage. Aaron Besecker of the Buffalo News recently reported that two 600 passenger boats are expected to take a combined 44 trips a day this year. You don’t have to do the math. Just get out to The Falls and get soaked. After Memorial Day weekend, the Maid of the Mist runs daily from morning until early evening. Tickets cost $17 for adults and $9.90 for children. There are no age restrictions and they do not take reservations. Another giant in the WNY boating industry, Buffalo Harbor Cruises began their foray into Lake Erie in 1971. Since then, the Miss Buffalo and Miss Buffalo II have been familiar sights beside Buffalo’s Inner and Outer Harbor. 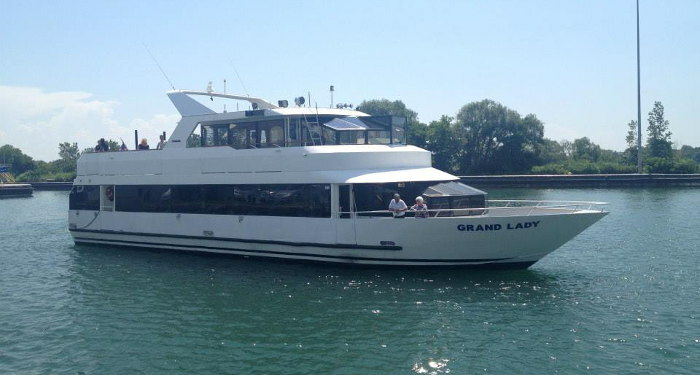 Available for sightseeing, corporate events, and all types of parties, Buffalo Harbor Cruises has everything and anything to get you out on the water. Bring the kids on a Historic Landmark Cruise, or get away for an evening on their T.G.I.F. Happy Hour Cruise with your friends. Sit in the sun, have a few drinks, and enjoy the ride. Cruises start at $16-$25 for adults, $11-$12 for the kids. The Miss Buffalo II begins its run in July and ends in September. 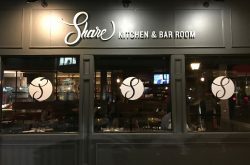 Reservations are a necessity, and no outside food or drink is allowed. 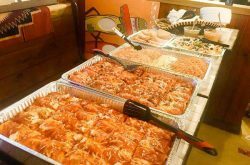 Buffalo Harbor Cruises has a full banquet and drink menu available on their website. New to the water front is Queen City Bike Ferry. This is a great way to check out the water cheap and quick. It is a short ride from Canalside to the Outer Harbor and the fee is only $1 each way, including bikes. Cash collected at boarding. Exact change required. Includes bike. Operates daily Memorial Day – Labor Day. Hours: Monday – Friday 12 pm – 8 pm, Saturday and Sunday 8 am – 8 pm. Sometimes the problem with hitching a ride on someone else’s boat is that they only take you where they want to go. If you’re looking to navigate the waters yourself, then look no further than Classic Cruises departing from Rich Marine near Squaw Island. For a nominal fee, Captain Rich will take you and 5 of your closest friends wherever you want to go. Hop aboard the classic “Summer Love” and kick back while you enjoy your very own customized cruise. This is the perfect ride to plan something special and short notice is not a problem if available. Let hometown captain Rick Deegan and company take you on the cruise of your life this summer. Stretch out anywhere on the Grand Lady’s two main decks, or head inside to the Captain’s Club Bar for a cool drink. In addition to daily lunch (adult $23) and dinner cruises (adult $60), the Grand Lady offers everything from Murder Mysteries to Wine Tasting. Take Dad on a cruise for Father’s Day, or see some fireworks on the Fourth. With so many choices, it’s impossible to lose. Non-meal cruises start as low as $16 per person, while specialty cruises can run as high as $80 per person. Check their website for a full list of prices and details. The Grand Lady is also available for weddings and special events. Cruises begin May 20th and are offered until the end of October. 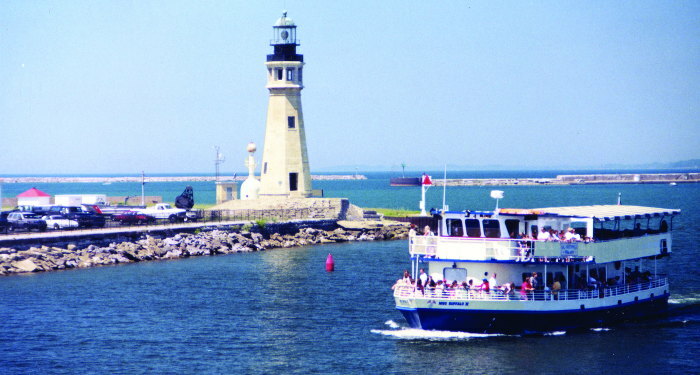 Running in connection with Buffalo Harbor Cruises, the Industrial Heritage Committee’s Historic Buffalo River tours enter into their 30th year this summer. By integrating an interactive experience using maps, photographs, and video, this trip promises to tickle your inner historian. Learn about Buffalo’s past while imagining the reuse possibilities for our aging landmarks on the waterfront. With an expanded schedule this year, there should be no reason to miss out on this engaging experience. Historic tours begin in July and run until September. These tours are very popular and sell out fast, so call now. Ticket prices are $18 for adults, $12 for children, and kids 3 and under ride free. Growing from two small pontoons in the 90s, to three large cruise boats today, Erie Canal Cruises is without question the most relaxing cruise in WNY. Glide down the canal under bridges while skirting through channels of solid rock. Move past the locks and unwind on the upper deck for a birds-eye view. Take in the scenery and learn a little bit about the historic conquest of man over nature. 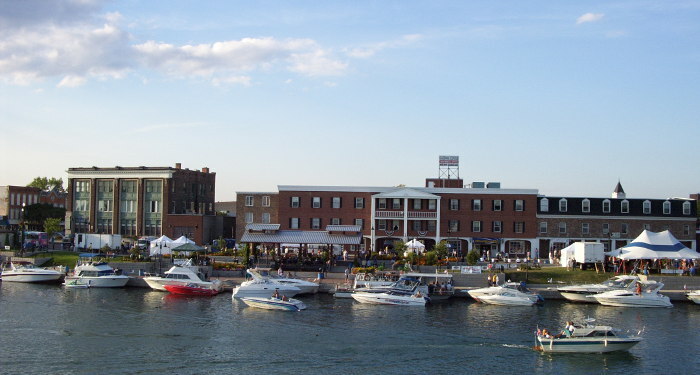 After your fifteen mile excursion (2 hours), stay awhile and grab a bite at the Canalside Café & Pub. Remember the camera, because the opportunities for some amazing photographs are endless. Erie Canal Cruises is already up and running and offers cruises until October 12th. Cruise prices are $17.50 for adults and $9 for children. Large group, school and youth program discounts are available. Moondance Cat is the perfect way to go if you’re having a party or celebrating a special event with 45 or more of your closest friends. 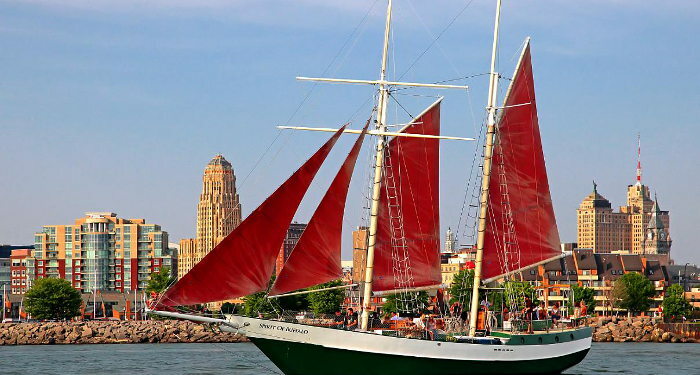 Specializing in on the water banquets and promising “fun in the sun, and wind in your hair,” this 65 passenger catamaran has been bringing smiles to Buffalonians for over 34 years. Two hour group charters start at $775 for 65 people. Party the day away with a full sound system, wet bar, and windswept open deck. 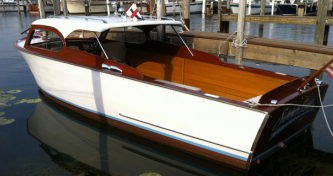 The “moondanceCat” is already out sailing and will continue until mid-October. They are based in Erie Basin Marina. Individual tours are available for $23 per person, kids half price. The boat departs 5 times a day, and reservations are required. 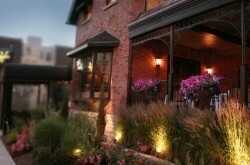 They have a cash bar and a full banquet and catering menu can be found on their website. For something a little out of the ordinary and lacking an engine, try the Spirit of Buffalo sailing out of Central Wharf. This 73 foot top-sail, steel schooner can accommodate 40 people and hold tons of excitement. With Tuesday Craft Brew Cruises, Pirate Cruises for the kids, and Wine in the Wind sails for the adults, anyone can find a reason to get out on the Spirit. Bask in the sun on a Day sail, or revel in the glow of the lake at sunset. Day or night, this family owned, local business guarantees your happiness. Public sails start at $32 for adults and $18 for children- 3 pm Day Sail, 6 PM Evening and Sunset Sail. The Spirit of Buffalo is also available for private charters, weddings, and plenty of other special events. There are no minimums, and no group is too small. The boat will be out this month and until September. Call for availability. Did you ever want to learn how to sail? Seven Seas Sailing Center is the premier sailing school in Buffalo, NY. With flexible schedules and understanding instructors, Seven Seas is the best place to learn how to pilot the boat yourself. After classroom, dockside, and on the water learning sessions, you’ll be a proud member of their yacht club and have full access to their sailboat rentals here at home and around the country. Just imagine taking the family out and showing off your skills in the shadow of the Skyway. Sail boat rentals to qualified people are $80 for 4 hours. Classes are $350 for individuals and $600 if you bring a friend. Ages 6 and beyond are welcome to enroll. Seven Seas also has Sunset Sails (~$67.50 per person 2 hours) and private charters if you are looking for a ride rather than a lesson. Hours of Operation: Daily April-October 10am-10pm. 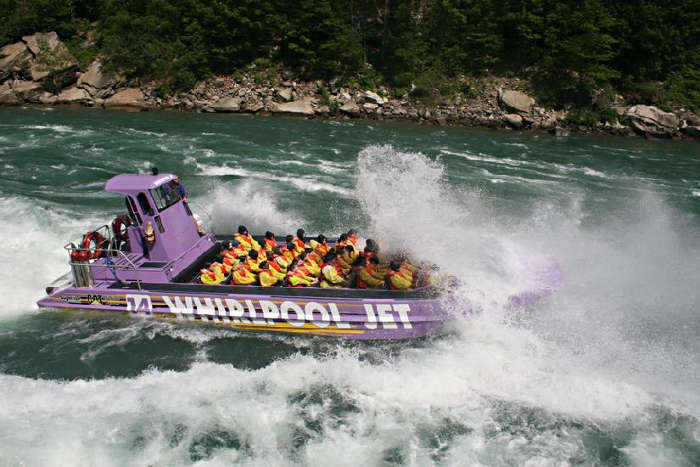 A 45 minute white water adventure through the Niagara Gorge they have three location/adventures to choose. Experience history, scenery, excitement and the thrill of a lifetime. Book online for discounts. Open daily May-October. Departure times vary and are subject to change. Reservations required. $61/Adult and $51/Child (6-13). It might feel like the old south but this paddle wheeler is right here on the Niagara Frontier. Take a slow going, relaxing trip on the down the beautiful Lower Niagara River on the Niagara Belle and you’re guaranteed to fall in love. 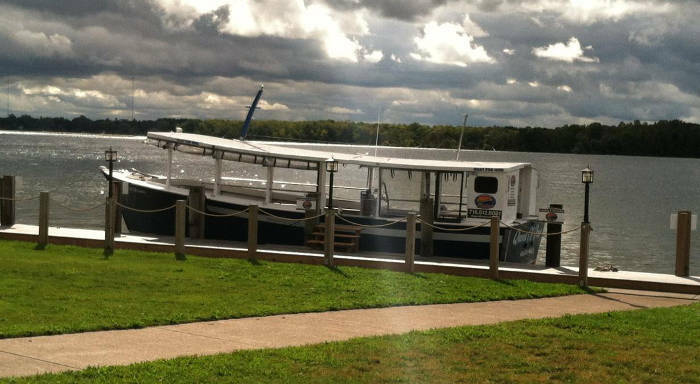 The three tiered paddle boat can house 150 people and plans to run through New Years as the two lower decks are fully heated and air-conditioned. The Niagara Belle offers various cruises – 3 hour diner cruise adult $69.95, 2 hour lunch cruise $54.95, 2 hour site seeing $25 and more. The have departures from both the U.S in Lewiston and Canada in Queenston. 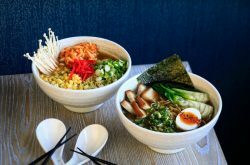 Check out their website for more info, schedules and menus. 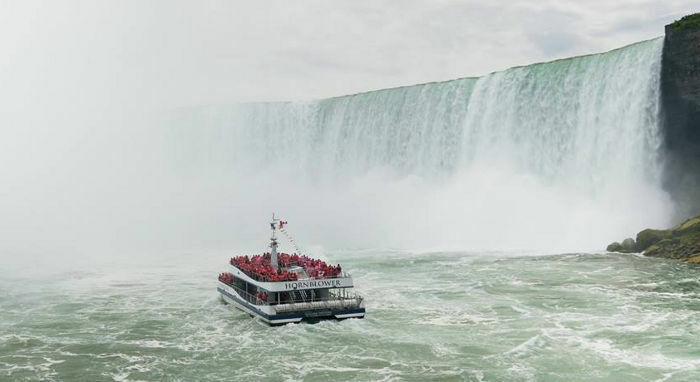 Hornblower Cruises are new this year, taking over the Canadian side of the falls from Maid of the Mist. Experience the great Niagara Falls aboard a state-of-the-art 700-passenger catamaran or aboard the Hornblower Guardian – a 150-passenger jet-boat, for an intimate experience with the mighty Niagara Falls, also available for private charter. Standard tours leave every 30 minutes and offer different options, priced in the $20s. They also have a Falls Illumination/Fireworks Cruise at $31 for adults. The Hornblower Landing is located in the 5,000-year-old geological Niagara Gorge with one-of-a-kind and up-close views of the Falls. Their newly built event location offers a nice view of the falls as well. picture perfect backdrop of Niagara Falls in a naturally inspired destination. 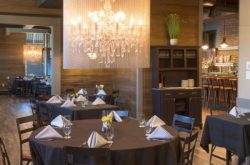 Hornblower offers large 300+ person or smaller, event hosting where guests can enjoy Niagara wines and fresh local farm-to-table menu choices.